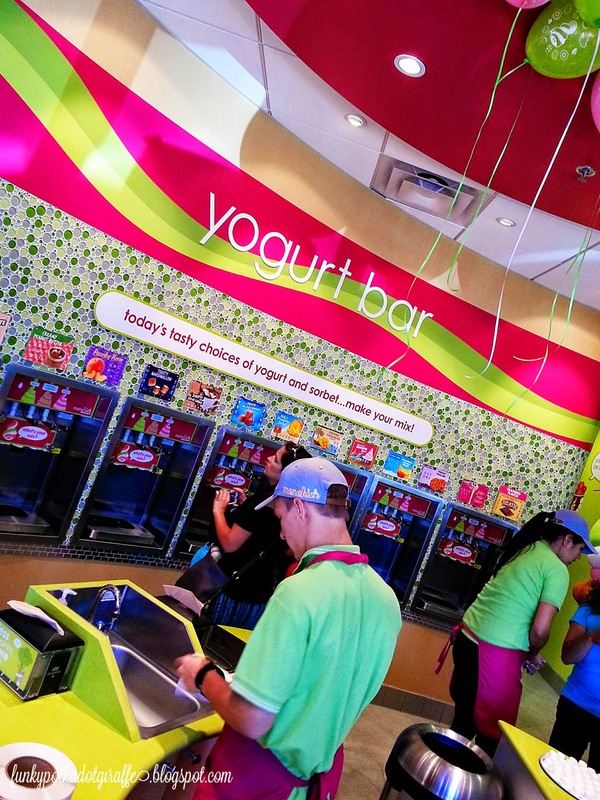 Funky Polkadot Giraffe: Menchie's Laguna Nigual Grand Opening: Giveaway! 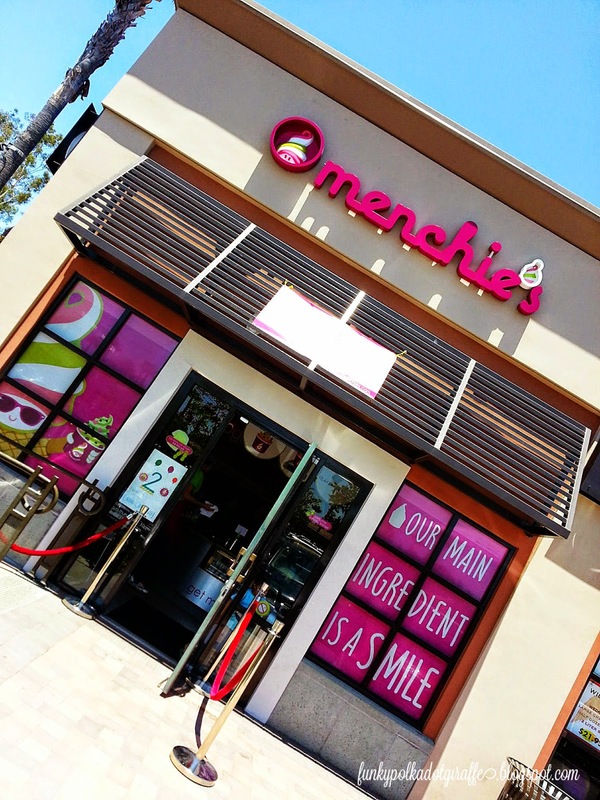 Menchie's Laguna Nigual Grand Opening: Giveaway! Disclosure: This is a sponsored post written by myself for Menchie's Laguna Niguel. All opinions are my own. 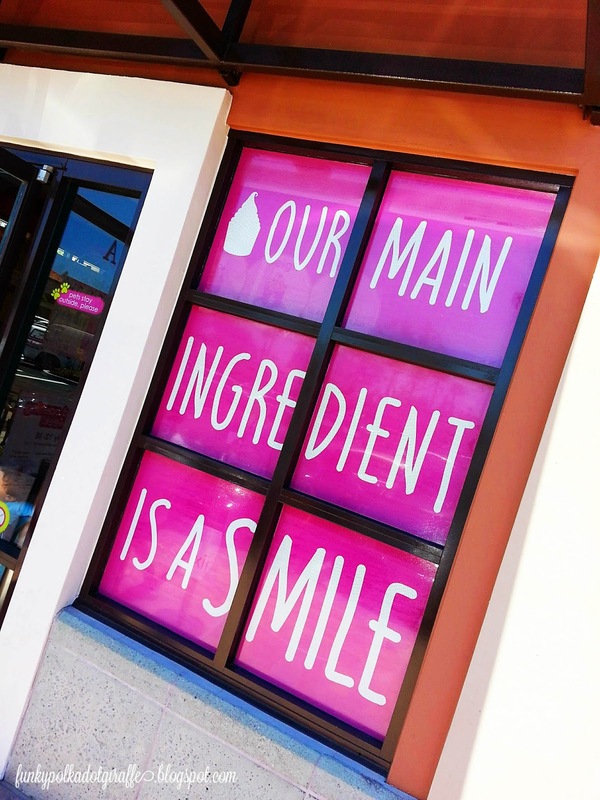 you're in luck because the new Menchie's Laguna Niguel is open! 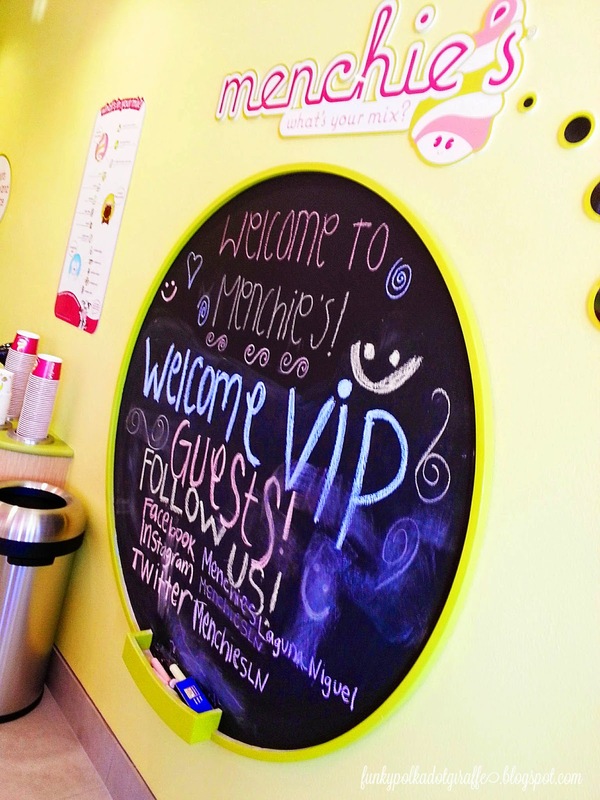 about this delicious frozen yogurt store. bringing such a high quality frozen yogurt product to Laguna Niguel. more about the company's background and philosophy. Menchie's yogurt comes from Scott Brother's Dairy in California and only uses "SMILEY" cows that have not been fed artificial growth hormones. The Menchie's Private Label collection is made with their exclusive custom blend of flavors that you won't find anywhere else. Creating an atmosphere where customers can come and enjoy a cup a yogurt and conversations with one another is important. SMILES are important and Menchie's employees receive education on how to create an environment that breeds smiles for the customers. My kids were full of smiles at the Menchie's Laguna Niguel VIP event. 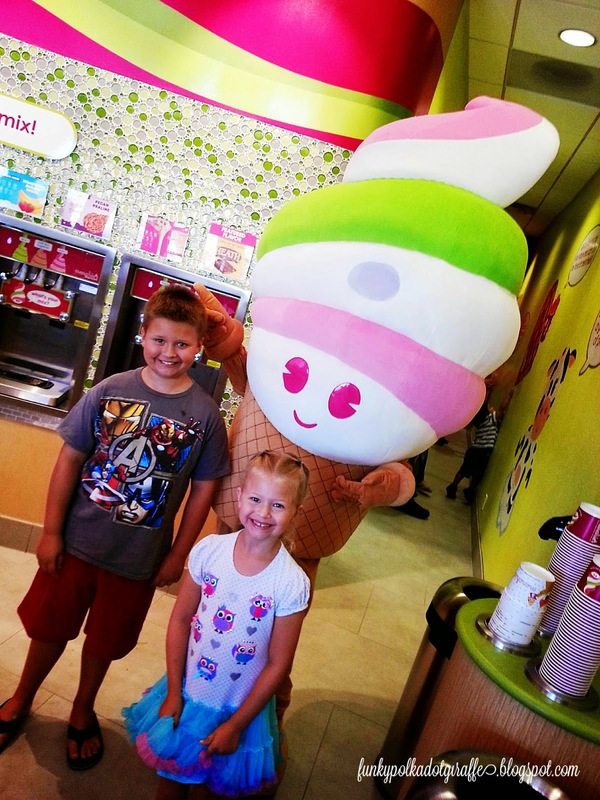 They loved meeting Menchie and tasting all the delicious flavors. The flavors offered can differ between each franchise, and change on a continuous basis. have a sorbet option, a no-sugar added option, and the signature tart. that Menchie's Laguna Niguel had to offer. and this month's featured flavor - Heath Bar! Isabella was crazy for the Milk Chocolate Mania and JT love Peachy Keen. There were so many topping options! 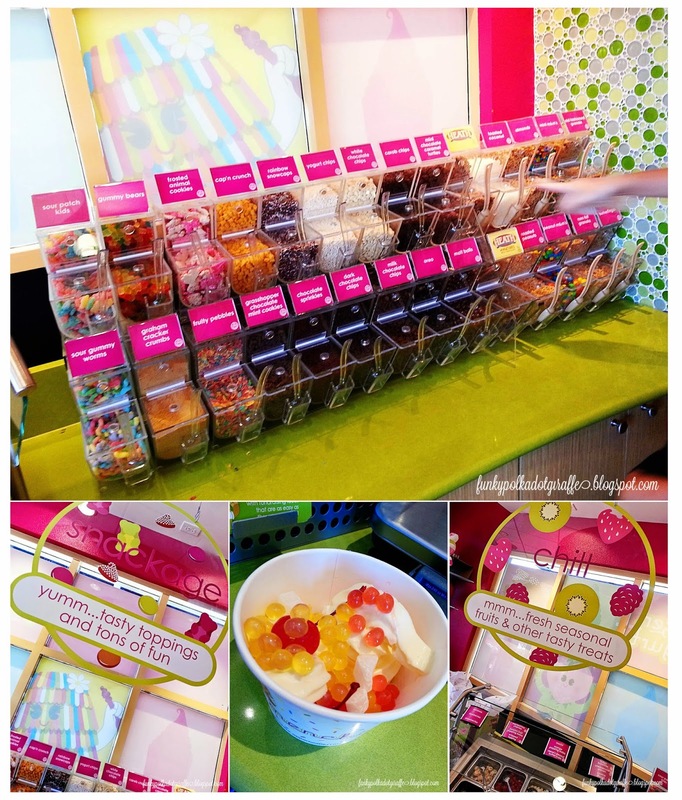 to see that they had my favorite toppings - mochi and popping boba! Isabella was a purist and didn't have any toppings and of course, JT went crazy. and is celebrating all week with a different special each day. 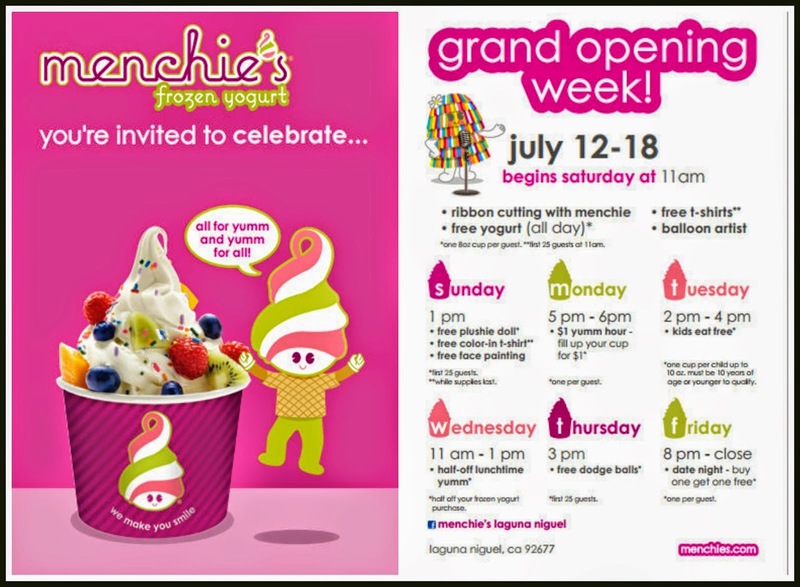 specials and help Menchie's Laguna Niguel celebrate! I bet you'll be able to find a franchise near you! Don't have a favorite flavor because I have never been. I could totally go for some pineapple. I have never been to Munchies, but I like plain and coffee flavors. I love coconut and red velvet! The no sugar option... Slowly losing the baby weight! I would like to say I have a favorite, but I have never been there..